It would be cool, if this design will be realized for some navy. And there could be significant changes between the design and the completed ship, see e.g. USS Zumwalt. It is also available in a proper printing quality not only White Natural Versatile Plastic. YES! I've been waiting for this version of the Type 26! I was annoyed that maybe those who wanted the Canadian version had to modify British Type 26 version from Dutch Fleet Naval Miniatures. The distinct Australian Type 26/Hunter class frigate version (with the Aussie Kangaroo marking as you can see in the pic) is also available from DFNM. Don't get too excited - the CSC design is still being finalized and existing models and CGI graphics don't necessarily reflect what would come out when the design process is completed later this year. YES! I've been waiting for this version of the Type 26! 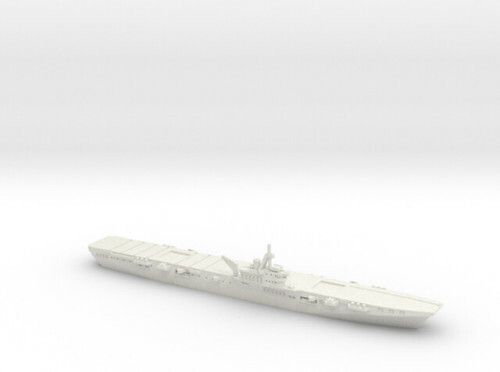 I was annoyed that maybe those who wanted the Canadian version had to modify [url=https://www.shapeways.com/product/YAWGXMFYB/type-26-global-combat-ship?optionId=60646420]British Type 26 version[/url] from Dutch Fleet Naval Miniatures. A 3d-printed 1/700 British Colossus class light fleet carrier is now available from the Shapeways vendor C.O.B. Constructs and Miniatures, for those unwilling to wait for IHP's announced Colossus class CVL kit, or want a cheaper option than the L'Arsenal resin kits of the class. 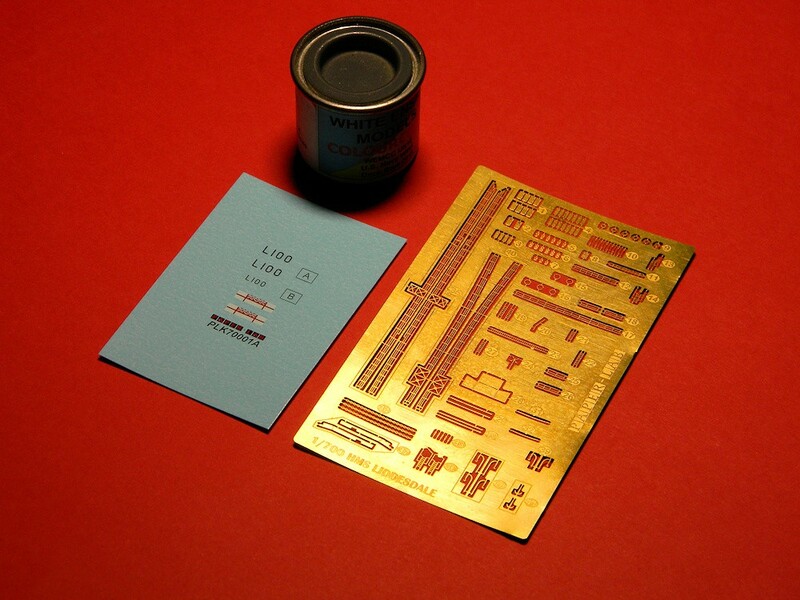 As suggested in the embedded link above, one can presumably also use this to make Colossus class CVLs in non-British service, such as the first Canadian aircraft carrier HMCS Warrior. The COB models are White Natural Versatile Plastic which isn't very good and they are rescales of 1/1800 models so they lack detail. They were meant for gaming not display. While you would save money you would have a very crude looking model. [quote="Haijun watcher"]A 3d-printed 1/700 British [i]Colossus[/i] class light fleet carrier is now [url=http://www.shipmodels.info/mws_forum/viewtopic.php?f=46&t=5057&p=768882#p768882][u]available from the Shapeways vendor C.O.B. Constructs and Miniatures[/u][/url], for those unwilling to wait for IHP's announced [i]Colossus[/i] class CVL kit, or want a cheaper option than the L'Arsenal resin kits of the class. The [url=https://www.shapeways.com/product/TJRBK636C/hunter-class-frigate?optionId=66185933]distinct Australian Type 26/[i]Hunter[/i] class frigate[/url] version (with the Aussie Kangaroo marking as you can see in the pic) is also available from DFNM. A 3d-printed 1/700 British [i]Colossus[/i] class light fleet carrier is now [url=http://www.shipmodels.info/mws_forum/viewtopic.php?f=46&t=5057&p=768882#p768882][u]available from the Shapeways vendor C.O.B. Constructs and Miniatures[/u][/url], for those unwilling to wait for IHP's announced [i]Colossus[/i] class CVL kit, or want a cheaper option than the L'Arsenal resin kits of the class. HMS Diana 1794 Frigate kit is finally released! I had to separate it into several models to cope with complexity - the model had around 5mln faces, and shapeways only allows 1mln. This way you can also select different materials for different parts, as for example lower deck does not need the level of detail found on intricate steering wheel or fine decoration on the stern. Mulsanne's Corner has this US Civil War gun also in other scales. As you could probably see from my poll thread below, a british frigate HMS Diana/Seahorse from 1794 was released by me today as a full hull offering. Waterline will join tonight, while 1/200, 1/300, and 1/350 variants (and probably the 1/450 to match the new Revell Victory) are in works. [quote="PetrOs"]As you could probably see from my poll thread below, a british frigate HMS Diana/Seahorse from 1794 was released by me today as a full hull offering. Waterline will join tonight, while 1/200, 1/300, and 1/350 variants (and probably the 1/450 to match the new Revell Victory) are in works. To build the entire model you need Waterline Hull, Lower Hull and Mega Sprue. Unless of course interested in Waterline only in which case you don't need Lower Hull. Mega Sprue holds all the smaller plastic parts necessary to build this model. I called it Mega because it combines all deckhouses and 3 original sprues into one set. Makes it also less expensive. For those who don't need the entire model but would be interested in some of it's parts I still provide 3 smaller sprues and 3 major deckhouses as stand alone parts that can be order individually. The same for PE and decals set. Please contact me directly. Cost is $10 which includes postage worldwide. I bought and built one of these. It's a great little kit. I can't wait to see what else becomes available. I just purchased one of these little beauties in the higher quality material using the link provided. At first I was a bit surprised at the cost. It took a minute or two to realize that it was in Canadian Dollars and included some shipping surcharge also. Once I set the shipping to the US, the total amount went way down! Really looking forward to this. Just got the kit and it’s real nice. Gives me a Hunt.